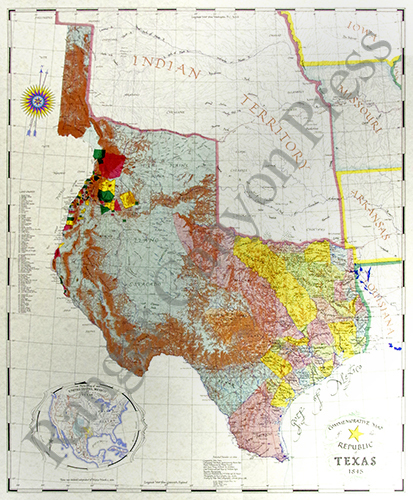 This antique map came from Johnsons New Illustrated (Steel Plate) Family Atlas, published in 1862, by Johnson and Ward. 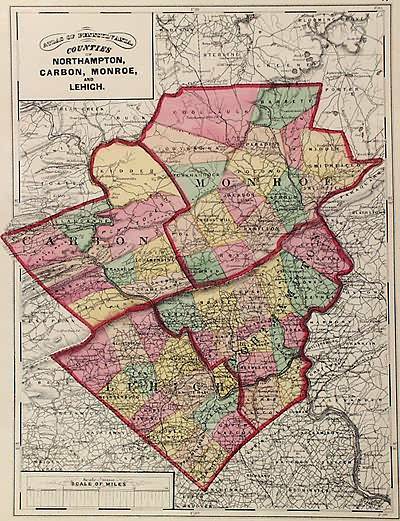 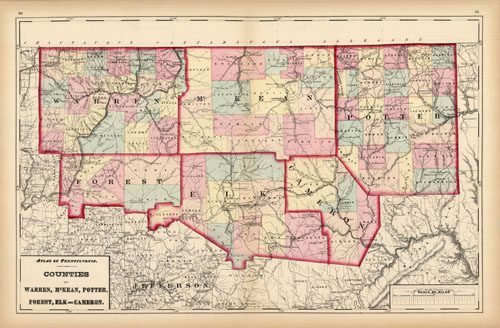 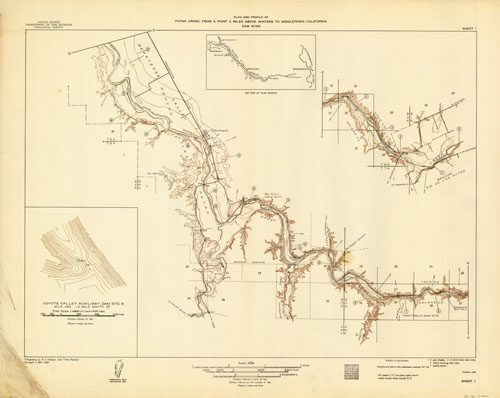 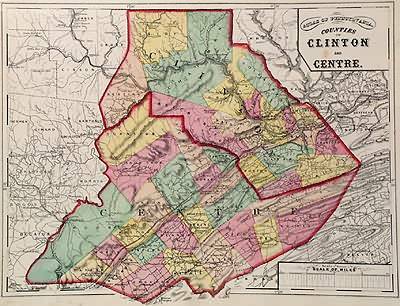 These maps are some of the most colorful and accurate maps produced in the 1860’s. 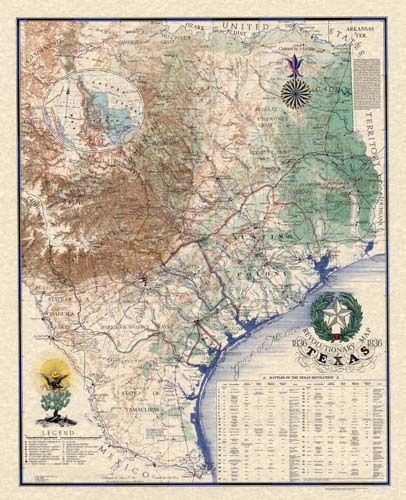 Johnson maps are characterized by hand coloring in red and green and distinctive borders, including iron scrollwork and a Celtic design. 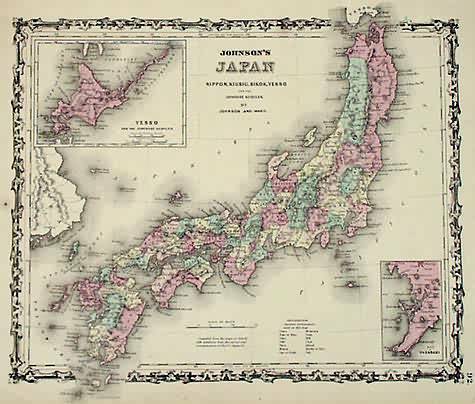 This beautiful map of Japan includes insets of Yesso and Nagasaki.